Use these tips to get through those map objectives and challenges across every board. 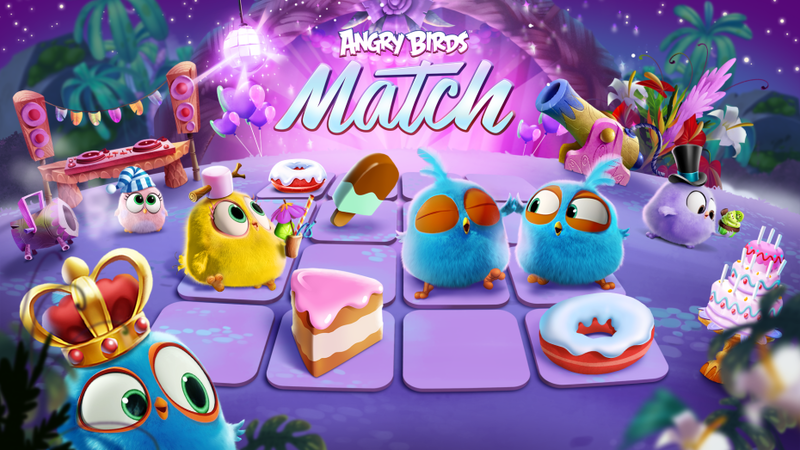 Angry Birds Match is Rovio's latest entry in the long-running Angry Birds series. It's a bit strange that it's taken this long for a match-3 puzzle game to have come out under the Angry Birds moniker, but it's here now, and we're obsessed with its colorful take on the free-to-play puzzler. Much like games like Candy Crush Saga or Bejeweled (or any of the other similar puzzle titles out there) you're tasked with matching several colorful gems in a row. But sometimes there are objectives you'll have to complete while clearing out boards, and doing that will net you additional outfits, items, and other hatchlings to add to your collection. Want to blaze through the challenges before you? Follow these tips to absolutely smoke each and every one as you progress. You'll earn plenty of coins during your regular playthroughs, from the first few tutorial levels all the way through the later challenges in-game. These coins can be saved up and used for buying new outfits and costumes for your hatchlings. They're more than just a pretty set of clothing, however. They pack a punch with several different bonuses and multipliers that can help you earn more cash to do the same thing over and over again as you progress. Eventually you'll have so much help by way of costumed birds and additional items that anything you need to do within the confines of challenges that require you to do certain things will be absolutely crushed. Every time you play a new board you'll get a steady supply of birds placed here and there that can be utilized to clear out specific blocks on each map. Some can just burn through large rows of mud or other blocks that you can't clear regularly, while others can be used in conjunction with line-clearing birds to make an explosion across the board, the likes of which the pigs will never be able to come back from. When you rescue enough hatchlings, you'll find yourself soon rolling in the dough, and keys to unlock chests. when you unlock a chest, you may be privy to a cache of gems, which you can save up enough of to not have to spend real money on premium chests. If you don't have enough coins to go on a shopping spree, you can use the gems to unlock premium chests that could include costumes and rare items, things that you can use to get through certain challenges without failing over and over and waiting for your stamina to refill.